We have never told the complete backstory for selection of the flight experiments for Mission 1 to ISS. So here it is. It’s a pretty remarkable, very real world window on spaceflight and science. And it is a powerful teachable moment as Rebecca Mitchell, the teacher facilitator for one of the two Houston flight experiments pointed out last week. To all teachers and administrators reading this, we’d like to invite you to put SSEP to work for your students in a whole new way. SSEP is real science and real spaceflight, all the time. It’s already engaged many students across your community, and likely has been covered by local media, so it’s objectives and program operations are familiar. The challenge—use the SSEP experience for ALL students of science across your community as a series of teachable moments, as a window on how research is really done. Shouldn’t that be a core objective of science education—an understanding of how science is actually undertaken by researchers? The challenges along the way? The journey? And you have real researchers in your community. They are the student Principal Investigators, Co-Investigators, and Collaborators that designed experiments and wrote proposals to represent your community in orbit. Think about this … your community has its own space program … and your student researchers enable it, can take pride in it, and should talk about it. One way to put the, e.g., Fitchburg, MA, or Charles County, MD, or Houston ISD Space Program to work for you is to put your student proposing teams to work as Ambassadors. Have them visit other classrooms and other grade levels across your community, maybe visiting other schools. Have them talk about how they first noodled ideas for, and then formally designed an experiment based on the constraints of mini-lab operation and spaceflight operations to and from low Earth orbit (think about what you just read!) Have them talk about what it’s like writing a real research proposal and the proposal selection process. Have your selected flight experiment team talk about the process for loading the mini-lab, how it will get to the International Space Station, and how they will analyze their experiment samples on return to Earth. We always think of astronauts as heroes and role models we’d like to get in front of a class. But wait a second, what about all the scientists and engineers that make spaceflight and space science possible? And what about your own student SSEP researchers? Should they not be role models and heroes to other students? There is real opportunity here for inspiration of the next generation through leveraging of the SSEP experience. OK, now for the untold story of Mission 1 flight experiment selection. What a great set of teachable moments. THE REST OF THE STORY (welcome to the world of REAL spaceflight): In the midst of formal selection of the Mission 1 to ISS flight experiments, NanoRacks informed NCESSE that based on recent conversations with NASA regarding payload handoff to the Russians, they had to alter an important constraint on Aquarius, the Mission 1 experiments payload. Aquarius could no longer be refrigerated during transport from Houston to Kazakhstan, and during its storage at the launch site before being placed on Soyuz 30. This had the potential to significantly impact all flight experiments given that proposing teams were designing their experiments with refrigeration in mind. All 12 student flight teams were very rapidly asked to do a careful review of their experiments in light of the loss of refrigeration. For 3 communities it was found that the flight experiment would be severely impacted. For each of these three communities, the other finalist proposals were rapidly re-evaluated by their student teams to see if refrigeration was a requirement. Luckily, for all three communities a second flight experiment was identified and NanoRacks agreed to fly two experiments for each of these communities. A total of 15 experiments are therefore flying in Aquarius to ISS, including the three secondary flight experiments. All of this was taking place against a very fast moving clock, where a list of all experiment fluids and solids flying needed to get to NASA toxicology at Johnson Space Center or risk loss of flight of the Mission 1 payload. Note that times below are in EST as received by NCESSE in Washington, DC, while Wyeth is in California, 3 hours earlier. 12/14/11, 11:20 pm: Unfortunately received. This is real science. 12/15/11, 12:07 pm: Knowing now that refrigeration is an issue, a different proposal might have been selected that does not require refrigeration. I am assuming this is not possible. 12/15/11, 1:12 am: I do understand. While many of the teams focused on refrigeration as a means of controlling growth as outlined in previous emails and postings, this change is tough so late in the game. [using a natural selection metaphor] As I tell my students… adapt, migrate or die…. migrating and dying are not options here. Timing on this end is going to be tough since we are entering into finals, but again, we will make the necessary changes. 12/15/11, 1:35 am: I just [got] off the phone with the team leaders, two of the proposals require refrigeration on both ends of the experiment, while one needs only [on one] end. However, changing the quantity of cells initially loaded and delaying the mixing might not require refrigeration since the time from returning to earth and returning to the experiment teams is not too long. i will have the other experiment ready in the morning as soon as i get in. 12/15/11, 1:45 am: I hope for good news tomorrow. get some sleep. 12/15/11, 11:27 am: Good Morning. Do you need a written change in protocol so as to accommodate the change in refrigeration? I have all three teams working on changing their procedures. Do you need written changes sent to you for approval [of a second flight experiment] prior to [the 12 noon EST] deadline? 12/15/11, 7:42 pm: Good Evening Jeff. Today/last night was interesting and intense. When I got to school today, I had to cancel lecture and call all the kids from all three teams in. By the time they assembled, it was now 8:10 and I explained to everyone what the new rules were and if you want to play, you had to change or modify the procedures. I told them they had 45 minutes to get this done. As a teacher, watching these three groups come together and problem solve gives me hope for the future. Today was exciting and exhausting. I’m sure it’s worse for you. I have included the Implementation plan [for Mission 2 to ISS]. This is REAL science and REAL spaceflight. It is not nice and neat. It is not predictable. 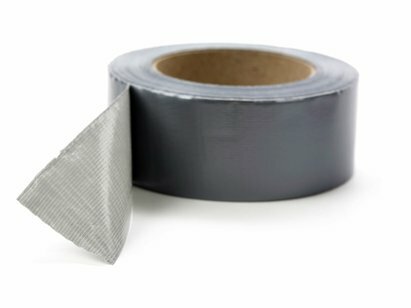 Often you need to get that roll of duct tape out to save the day (watch Apollo 13, the movie). Every one of the student teams across the nation stepped to the plate in a big way that day back in December 2011. We should all be incredibly proud of them. And … that wasn’t the end of the story. 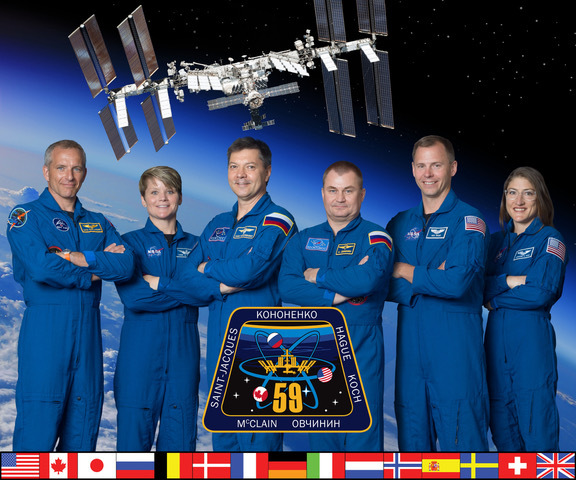 On January 30, 2012, 12:30 am EST, NanoRacks informed NCESSE that Soyuz 30, the Aquarius launch vehicle, failed a critical pressurization test (see February 1, 2012, SSEP National Blog post). On February 13, 2012, NCESSE was officially notified that in response to the failure NASA had moved Aquarius from the Soyuz 30 to SpaceX Dragon launch vehicle, launching out of Kennedy Space Center in Florida. This meant that refrigeration was restored, all 15 experiments would still fly, and SSEP would be part of history as Dragon became the first commercial vehicle to dock with ISS, heralding in a new era in space travel. All this is covered in the February 13, 2012, National Blog post. Now you know the rest of the story (so far). You might want to get reacquainted with the experiment teams that took part in this behind-the-scenes adventure by visiting the SSEP Mission 1 to ISS Experiments page. I must say that this article makes me go back to those old science experiments I got on school.